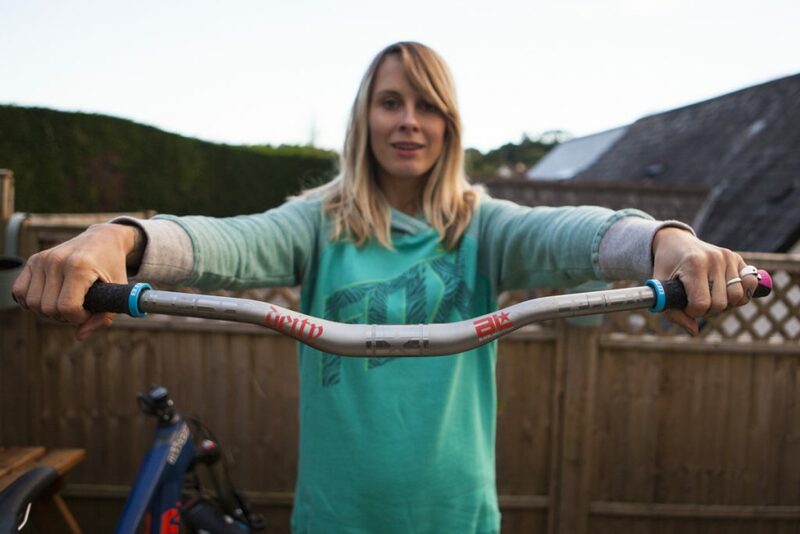 I’ve been using WTB products on my mountain bikes for yonks as I’ve always got on with their range of grips, tyres and rims. I’ve actually got a pair of their amazing carbon Ci31 rims upstairs waiting until I finally have enough money to buy some hubs and get them built. I really, really want to ride them but every time I get paid I have to spend it on something annoying like getting our front door replaced (after it blew off it’s hinges) or having a clamp removed from the car (for forgetting to renew my tax). 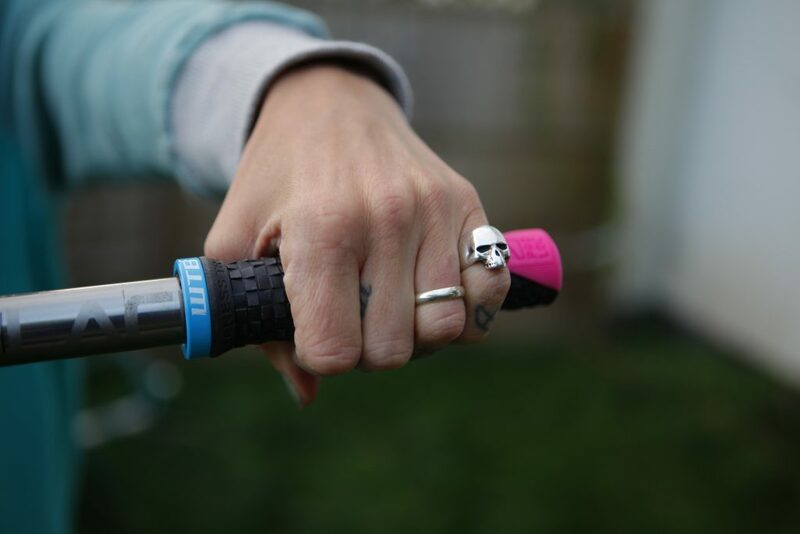 My WTB grips are really comfortable, being just the right ‘feel’ without needing ages and ages to wear it – they’ve just enough squidge to be grippy and damped buzz, so I suppose I wasn’t waiting for a new, improved version as the old ones are so good. Nonetheless, I was intrigued by the new Padloc grips so I got hold of a couple of pairs to try out. WTB totally rethought grips and redesigned them from the ground up. Normally, what holds your grip in place are the two metal collars at either end, which you fasten tightly on the handlebars to prevent movement. The problem is that you can’t tighten them too much on carbon bars as whilst carbon is very strong in certain directions there’s a limited about of torque that you can apply to it. Having a grip slip or rotate whilst you’re hurtling down some technical terrain, say in a Downhill race could have disastrous consequences so the Padloc grips are designed to make that impossible. This is achieved by using a totally new system – there’s a wedge shape inside the grip into which you insert you bars which you’ve cut to the same shape by trimming a 30 degree wedge from each end. The outer ends of each grip are a rubber compound right the way to the edge, rather than having a metal collar which juts up against the side of your hand, so they’re super comfortable. Here’s more about the grips and how to fit them.